New ListingChina 1896 Hankow LPO, 30c, MNH. O.Gum. S/C # C30 VON GRONAU 4 Centavos. US PHILIPPINES STAMP 1932. CONDITION: MINT OG NH LIGHT BROWN GUM WITH AGE ! New ListingNorth Vietnam, Sc.# 1-2, HCM & map with small "T.T" surcharged. NGAI mint. NORTH VIETNAM, Sc. NGAI mint. New ListingSmall Used Philippines Collection On Minkus Album Pages - SEE!!! A small mostly used Philippines collection. Images below show. MOST of collection. make Supersized seem small. I am very reasonable and am sure we can work anything out. Get images that. No carryovers. 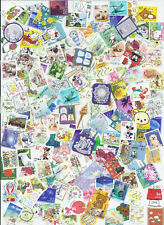 New ListingCHINA : NICE STAMP COLLECTION DISPLAYED ON 2 SHEETS. SEE SCANS. 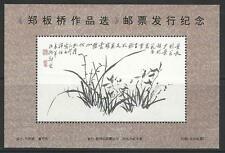 CHINA: NICE STAMP COLLECTION DISPLAYED ON TWO SHEETS. SEE SCANS. SEE SCANS WATER MARKS AND PERORATIONS ARE NOT CHECKED. HIGH VALUE 'SEE SCANS' FOR CONDITION. GREAT SELECTION AND A LOW STARTING PRICE. Check back next week for more PRC. Lot contains Back of Book. See my other lots for other countries. China PRC 1980's-1990's Block of 4 Set x 5 Mixed #5, Mint with gum, Never hinged. China PRC 1984 T95 T96 T97 Set x 3 Block of 4, Mint with gum, Never hinged. JAPAN OFFICE IN CHINA 1S USED 1900-06 SHANGHAI BLUE MARK VERY RARE. You will receive similar item. New ListingJapan Cinderella revenue fiscal Stamp 2-16b- ok -no gum as issued -proofs? China PRC 1981 J64 J65 J66 J67 Set x 4, Mint with gum, Never hinged. 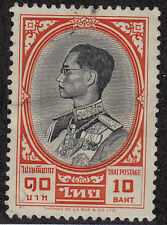 How Can You Start a Collection of Asian Stamps? Limiting yourself to just Asian stamps helps to keep a collection manageable and allows you to become an expert in the subject so you can hunt down bargains and easily identify rare and interesting stamps. A great way to start is to invest in a few stamp sets to build your inventory. As you become more familiar with Asian stamps, acquire a few incomplete sets, and then work to find each missing stamp to finish the set. 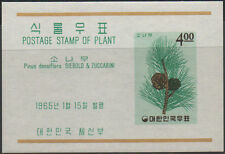 What Are the Most Interesting Asian Stamps? Asia comprises many countries, including China, Japan, Korea, and Taiwan. Chinese stamps are particularly interesting, charting the rich cultural heritage of the land since the first stamps came on the scene in 1878. Many of the Chinese stamps from the late 1960s onwards showcase Chinese emperors and artwork, making them fascinating collectibles. Chinese zodiac stamps are desirable and date back to 1980, with the Year of the Monkey stamp, which is one of the most highly prized contemporary Asian stamps even though the original print run was for 5 million units and the stamp is not rare. How Should You Store Rare Stamps? Most stamps are made from paper with a gummed back, and the gum is often in tension with the paper, making the construction prone to tearing. 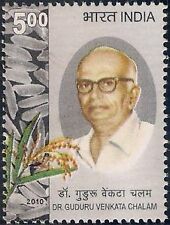 Protecting a stamp collection involves storing the stamps in a way that minimizes stress on the gum and protects the paper from moisture and other harmful elements, such as direct sunlight. An ideal solution is to store stamps in acid-free cardboard boxes in darkened rooms where the temperature is approximately 64 degrees Fahrenheit and the humidity is around 55 percent. At British Library Philatelic Collections, the curators mount stamps in polyester mounts on conservation-quality album pages, which they then place in polyester protectors inside boxes with a waterproof covering.